Smart phone technology has brought many radical social changes in the last decade or so. People are doing things (without a second thought) that were once considered really stupid or anti-social. Who would have thought we humans would try operating a motor vehicle while staring at a three-inch screen? Or walking on a train platform doing the same? Imagine sitting with a group of friends and gazing intently at the palm your hand, offering them no conversation or eye contact! Perhaps you have already observed some of these odd and addictive tendencies in the people around you – and most frighteningly, in yourself! 1. Smart phones don’t make you smarter and won’t make you happy. Yep, they sure are sleek, complex and nifty little gadgets that do cool things. They can connect you to a web of ‘friends’, music, video, games and the latest social news – but they may detract from your wisdom, intelligence and satisfaction level. You can become so reliant on mobile google that you give up thinking or remembering anything! Smart phones may make you look cool, acceptable and impress your friends, but there are more important things in life, which can bring greater and lasting joy. 2. People are better than Smart phones. Have we forgotten this? People are unique and complex individuals. They have more potential to surprise, entertain and inspire you than anything you’ll flick by on the small screen. Living, three-dimensional, high resolution people make far better company. 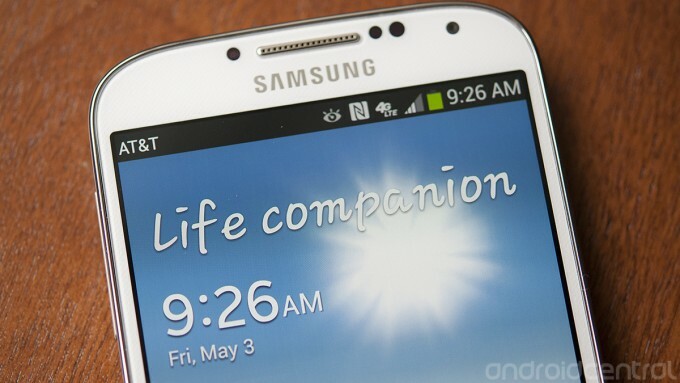 No matter what Samsung may tell you, your smart phone is not a ‘life companion’. People are way smarter and worth investing in. Try paying close attention to their faces, eyes and body language – and see what happens. Don’t become so dependent on that small screen that you lose touch with real people and relationships. 3. They make you forget basic good manners and conversation skills. Smart phones make us think it is acceptable to silently stare at a little screen in the presence of another human being, especially when everyone else is doing it! (Actually, everyone else has to do it so they don’t feel ignored!) We even think it’s fine to do so when someone is actually speaking to us. Hello!? 4. They tempt you to build your self-esteem on how many people like your social media updates. 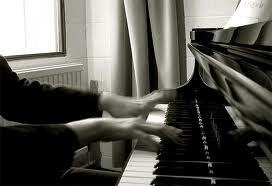 How easy to become addicted to that sort of affirmation when it is at your fingertips? Do you really need to know that people like your latest meal or cup of coffee? 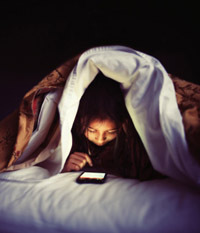 Smart phones encourage us to binge on social media. Turning off those distracting phone notifications may allow you to engage fully with people in the moment. 5. You look pretty silly when your phone is constantly in hand. And you’ll looking sillier if you injure yourself while walking and typing. In New Jersey, police began (May 2012) issuing $85 citations for careless walking, and the Utah Transit Authority made distracted walking around trains punishable by a $50 fine. 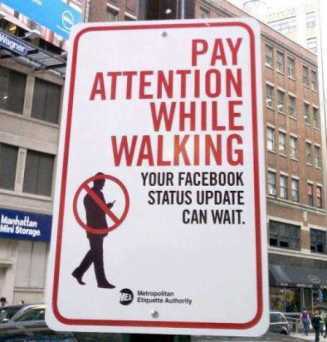 Signage is also being used widely to reduce pedestrian accidents caused by texting. Try putting the thing in your bag or pocket, or in another room. And by the way, smart phones and toilets don’t mix well for many reasons! 6. 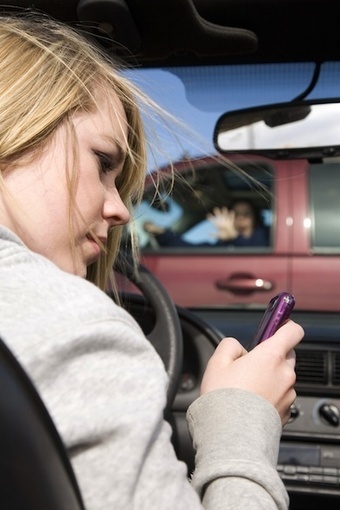 They tempt us to be a stupid driver who texts or updates Facebook while driving. 7. Smart phone technology addiction can actually rewire your brain, to be less smart! In “The Brain that Changes Itself” (2008) author Norman Doidge says that our dependence on this technology can rewire our brains to the extent that it becomes difficult to concentrate on a complex conversation or listen to a lecture. “Electronic media are so effective at altering the nervous system because that both work in similar ways. . . Both involve the instantaneous transmission of electronic signals to make linkages. 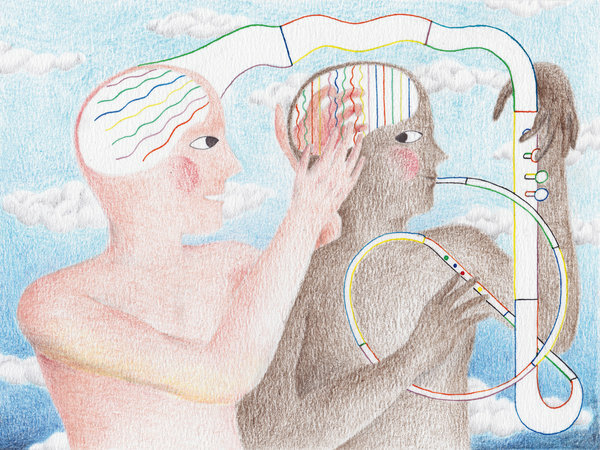 Because our nervous system is plastic*, it can take advantage of this compatibility and merge with the electronic media, making a single, larger system. . . Now man is beginning to wear his brain outside his skull, and his nerves outside his skin” (p.311). At the very least, excessive smart phone use discourages us from tackling problems, conversations, a novel or the philosophical writings of great thinkers. Why? Because these things do not involve the instantaneous gratification of electronic media. 8. Your eyes can suffer. Those muscles for distance vision will become weak if you are staring at a small screen constantly, keeping your eyes operating at the same focal length all the time. Researchers have actually recorded an increase in myopia (short-sightedness). Read more here. 9. Sleep can become elusive. 10. Excessive self-absorption will not make the world a better place. The idea of showing a random act of kindness or service to someone else can become so far-removed from our thought patterns if we are no longer observing the people around us. Blinkers are for horses, not for people – people who have the power to impact those around them for good. If you want to see more good, more love, more thoughtfulness in the world, take off those smart phone blinkers and live again! This entry was posted in Contentment, Encouraging others, Women and tagged addiction, blogging, Brain plasticity, Conversation, family, Happiness, life, love, Modern lifestyles, Reflecting, Screen addiction, Selfies, Smart phones, spirituality, technology, Women. Bookmark the permalink. TOTALLY TRUE! Without moderation there’s the great possibility to fall into these traps! Cell phones make me crazy! We have a dozen people over every Friday night for fun and fellowship. They spend most of the evening staring at those stupid screens, barely talking to one another. What gives?? Yes that is what I’m seeing too – especially groups of young people at church sitting together, but not really being together – eyes on screens! I don’t have a smart phone…and I’m sure I’m the only one…but I even find my old-fashioned land, and cell phone, an annoyance at times!! But I can be quite obsessive about blogging, so I can’t judge!! Ha! Yes, blog obsession comes in waves for me…..you just have to be aware of getting hooked on anything as the source of your self-worth….apart from Christ. Thanks for reading!! Bless you. Ahhh, yes! So much to say, so little extra time!! I pray for wisdom!! Bless you, too!! I make sure my cell phone’s IQ is lower than mine by staying at least two tech advances behind.